There are seemingly endless opportunities in FFA. You can do and see so much with the blue jacket. Give FFA Day is an annual 24-hour campaign encouraging the public to support various needs impacting FFA members. Last year, the National FFA Foundation raised more than $161,000 in one day! This year’s goal is to raise $200,000. Members and supporters are being urged to share why they support FFA on social media, by using #GiveFFADAy and set up their own fundraisers. More information can be found here. The National FFA Foundation builds partnerships with industry, education, government, other foundations and individuals to secure financial resources that recognize FFA member achievements, develop student leaders and support the future of agricultural education. Governed by a 19-member board of trustees composed of educators, business leaders, individual donors and FFA Alumni, the foundation is a separately registered nonprofit organization. 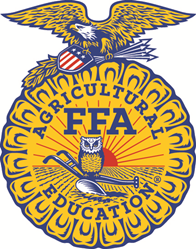 About 82 percent of every dollar received by the foundation supports FFA members and agricultural education opportunities. For more, visit http://www.FFA.org/Give.